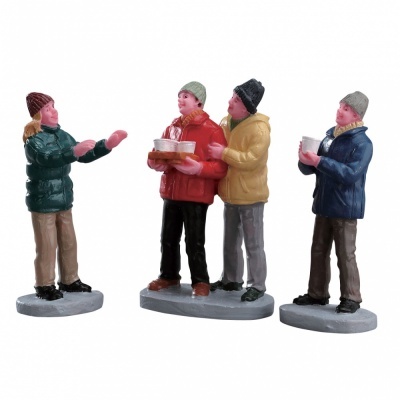 Lemax Cider Service Figurines Set of 3 depicts a happy group of young carol singers enjoying cups of hot cider whilst singing Christmas carols on the streets. A popular newcomer to the Lemax Vail Village themed collection, this figurine set joined the collection in 2017. Comprises four individual hand painted polyresin figures on three individual street bases to compliment your seasonal Lemax Village Winter display.